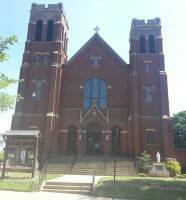 The Sharpsville Community Food Pantry has been established as a secondary assistance provider to reach out a hand of hope to those in need of supplemental food assistance. 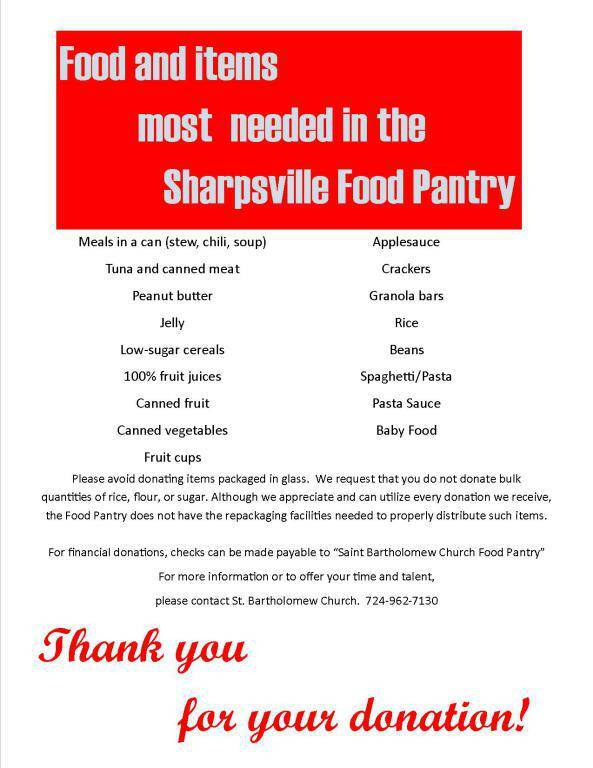 This is an effort of the churches of Sharpsville together with our schools, local businesses, and area residents as we work to help our neighbors in need. If you would like to help in this effort, including the placement of a food collection bin at your place of business or to offer you Time, Talent, or Treasure to this much needed outreach program, please fill out the form below. 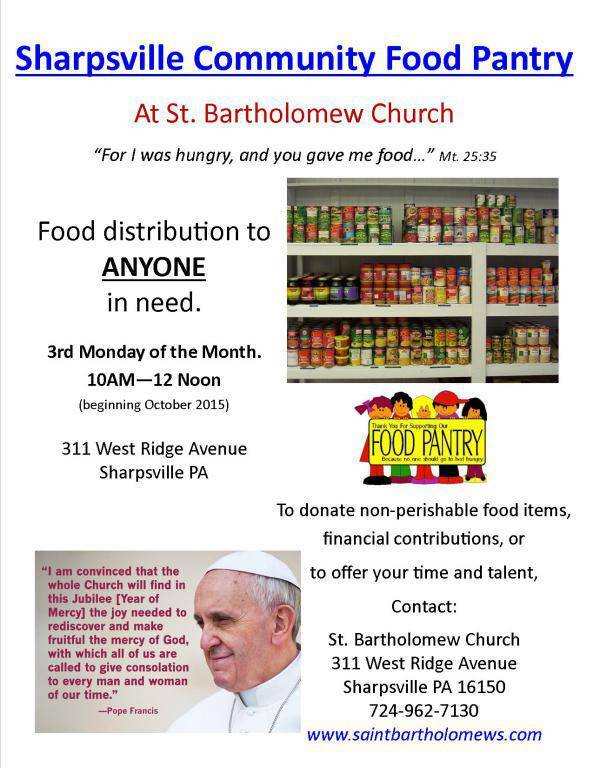 Financial contributions can be made out to St. Bartholomew Church Food Pantry and sent to 311 West Ridge Ave. Sharpsville PA 16150.